HomeNorway Chess 2018Norway Chess 2018: Round Eight: Caruana & Nakamura Win. 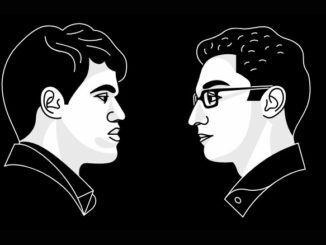 Caruana and Nakamura take points; However, "Today wasn't my day," -- Carlsen. 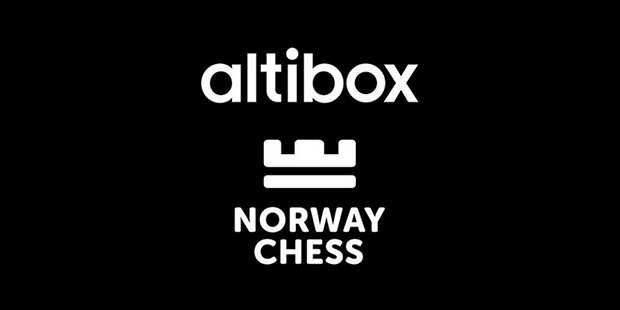 The penultimate (8th) round of the 2018 edition of Norway Chess, was held on Wednesday 6th June in Stavanger. It saw two decisive games out of the four, with points going to Fabiano Caruana and Hikaru Nakamura. The Petrov’s Defence tends to make many groan in pain, the likes of which only a Berlin can match. However, new rules clearly apply when Fabiano Caruana plays it. Infact, get a beer from the fridge and order pizza! The World Championship challenger has obviously done a lot of work with the Petrov and plays it with a whole new demeanour. Today, Vishy Anand was on the receiving end. A quick point of order first, though, to say that although the game began a Petrov, it morphed into an exchange French. One might have looked at Black’s position and wondered if it was perhaps a demonstration on how not to open a chess game. The American had doubled d-pawns and an ‘airy’ King with the h,g and f-pawns on their way forwards (see diagram, below). The thing is, there are two sides to every story and one can also look at this position in the sense that only Black seems to be going anywhere. This was compounded by the fact that White will have to invest a couple of moves in order to develop his b1-knight. And Vishy wasted no time in doing this with 15.Na3 (followed by 16.Nc2). One has to wonder if this was the wisest choice, given that Qb3 was also available, putting pressure on d5 and b7. Certainly White’s Knight-hops gave Black no considerations when playing 15…Be6. The Kingside very quickly became the clear theatre of operation, with both players concentrating their forces there. Chess engines seem to favour White for a large part of the game, but to be honest I think they are nuts sometimes and it makes me very glad that I only use them to check my analysis over rather than to actually carry it out. Looking at the game from a human perspective, I think Black looked the more positive and carried the more potential. This was shown very clearly with Caruana’s 27…Nf5!, which is shown in the next diagram. Black is already seizing hold of the position, here. The knight is of course on its way to e3, which is extremely annoying for White. I think Vishy has probably already decided to sac the exchange on e3, which is why he grabs the d5-pawn here with 28.Bxd5. After 28…Ne3 Anand was quite committed to 29.Rxe3 fxe3 30.Qxe3 and here, Caruana favoured 30…Bxa4 over 30…Re7. Both moves are very good, purely a question of taste. From this point on, things went downhill for White. Vishy put up stubborn defence, as one would expect and there were a couple of slips from Fabiano, but at move 50 he had a fully deserved point. A few moves later and Black was … well, decency forbids me to actually use language which accurately describes what exactly Black was a few moves later — suffice to say, it was very, very bad. It is quite the surprise that Karjakin should have a game such as this, but it just goes to show what can happen if one has holes in the opening. The other games were drawn and they included Magnus Carlsen taking on Shakhriyar Mamedyarov, who I think it is fair to say was looking quite uninterested by this stage of the tournament. If the World Champion wanted to win this tournament (and there is no ‘if’ on that one) he was going to have to make the most of this final White game. In round seven, Magnus had had an extra day off due to having been paired against Ding Liren, who had been forced to withdraw from the tournament. Of the players who will have been happy about this, I can’t see Magnus having been one of them. Though he seemed to enjoy his day off, taking his turn presenting the chess coverage for Norwegian television, I think he would have preferred to be out there playing. This, even having lost his previous round game to Wesley So — actually, especially having lost his previous round game. And so, I was quite curious to see what effect the extra rest day will have had on him. After seeing the game, I felt more strongly that Magnus would rue not playing round seven. I don’t know, his play lacked its usual sparkle. The game was an open Ruy and Mamedyarov chose to give up his d-pawn for activity. This led to the Queens coming off early and that was Carlsen’s decision as it was by no means compulsory. However, this indicated nothing — whereas some players exchanging Queens can signal a tame day, Magnus does not need his Queen in order to be aggressive. However, for me, despite the extra pawn, there just did not seem to be enough dynamic in the resulting position for White to be able to do anything. This being said, Magnus Carlsen is extremely skilled at creating dynamic where there isn’t any, as we have seen time and time again. And since the position at least afforded him the comfort of being able to play on without risk, he was going to try. He had to try. Perhaps he ended up trying a bit too hard, 29.f4 could maybe have given way to the patient (though positive) 29.Kf1. After 29.f4, White’s chances seemed all but done and Black got nicely active. Actually, it seemed to me that Black was a tad more active to be honest. The problem for White was that he just could not make anything of his extra pawn and this saved Black. They shook hands on move 50. As we know, Wesley So had had a good game in round six, beating Magnus Carlsen. He had consolidated that with a quick draw as Black against Shakhriyar Mamedyarov in the following round. In this round he wanted another point and this would give him a good standing going into the last round of the tournament. Unfortunately, the game did not go to plan for So. Maxime Vachier-Lagrave has a super ability to mix things up and he did so again in the Sicilian Najdorf of this game. Black got by far the better from the opening and negotiated the middlegame to leave him with an extra pawn. So concentrated on exchanging down in the rook ending and activating and centralising his King, which would give him the best chances to save the point. And this indeed was the case, with a technically drawn position, which saw the point split in 80. In my opinion, a very satisfying game for Maxime, even though he probably wont be satisfied to have only come away with half a point for his troubles. Ding — 0 withdrawn as of round 4. Games played in the tournament not counting towards standings or tie breaks. Paired opponents will get an extra free day. 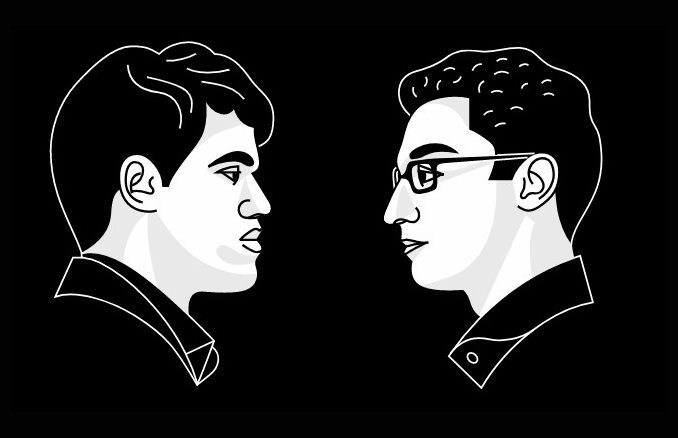 Nakamura 1 vs 0 Karjakin, Anand 0 vs 1 Caruana, So ½ vs ½ Vachier-Lagrave, Carlsen ½ vs ½ Mamedyarov. Vachier-Lagrave vs Carlsen, Caruana vs So, Karjakin vs Anand, Aronian vs Nakamura, (Mamedyarov free).